What is one of the greatest hopes that you have for people on this planet, and why? The world around us includes both incredible complexities in the creation, as well evil and suffering. What might some people naturally assume God to be like from this? Noting this, what was the account of God’s Creation in Genesis 1 written carefully to communicate? 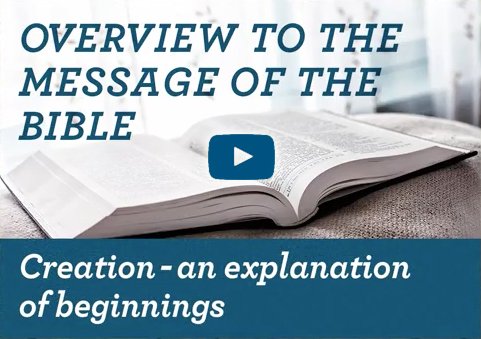 What does this chapter tells us about God? What does this chapter tell us about ourselves, as humans? Why do we believe God is good when evil exists? While many evidences point toward the existence of a Creator God, we cannot easily conclude that God is good from these evidences. We most easily conclude God is good by considering the truth of his revelation to us through history – as recorded in the Bible. We look at this later in this series. However, the real existence of good and evil do suggest a moral creator (one who distinguishes between good and evil like we do) – and our belief in the great value of good choices (rather than evil choices) suggests that our creator also esteems good over evil. A number of ‘big’ thinkers have become Christians as a result of this line of thought, like the famed children’s writer, C.S. Lewis. God treasures humanity, and made this planet for us to enjoy. What does it make you think about God? How does that make you feel? Dear God, thank you for this amazing planet, filled with things that are so complex that we cannot yet even understand them. Thank you that we were so carefully made – rather than carelessly or accidentally.